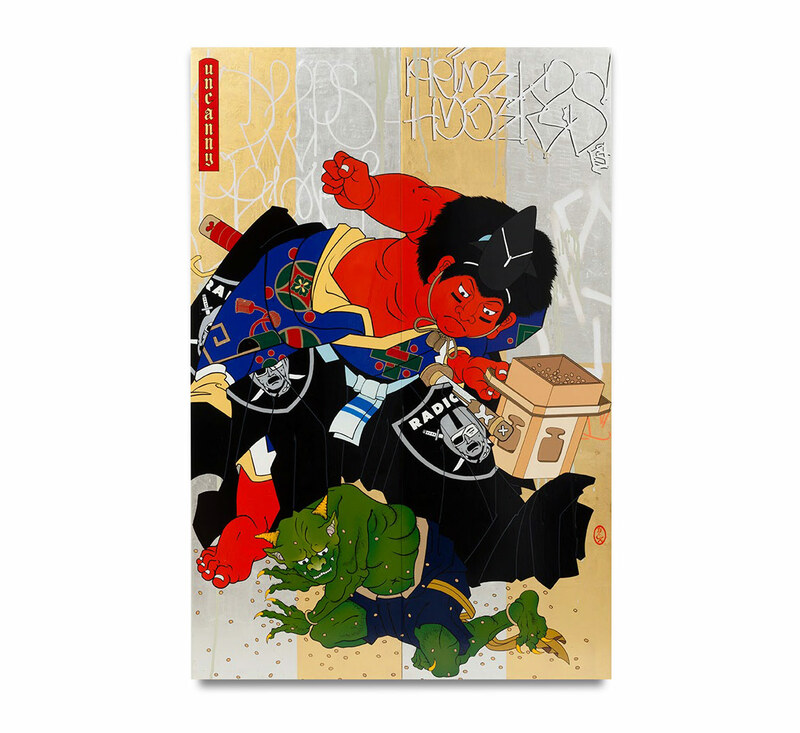 The main figure in this work references "Golden Boy," or Kintaro in Japanese. According to Japanese folklore, Kintaro is a fictional character who is the direct offspring of a human and a she-devil, and therefore embodies both the physical and spiritual realm. She-devils Oni were often portrayed with gleaming red complexions, characterizing their close association with the devil. As a result Kintaro is always depicted with red skin, but in human form. A very popular symbol in rural Japan, Kintaro is widely considered a champion/protector of the common folk, slaying demons and evil beings that could endanger their posterity. 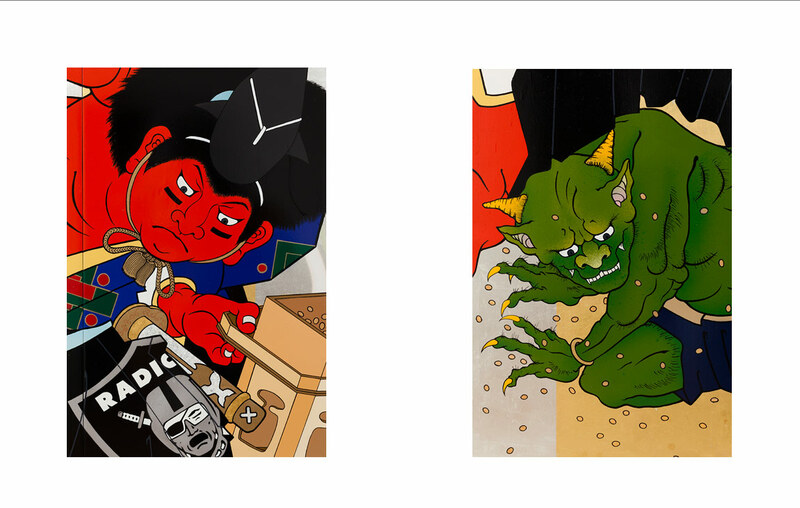 In this rendering, Fujita chose to feature Kintaro defeating a demon by attacking it with beans. This act of bean-throwing is a Japanese ritual performed at the beginning of the Lunar Year to ward off evil and to bring good luck. Kintaro's traditional garb is adorned with Raiders logos, though the mascot has been reworked with a samurai mask and swords. You'll notice that Kintaro's cheeks are streaked with eye black, often seen on football players and other athletes. The title Uncanny relates to Kintaro's superhuman nature.